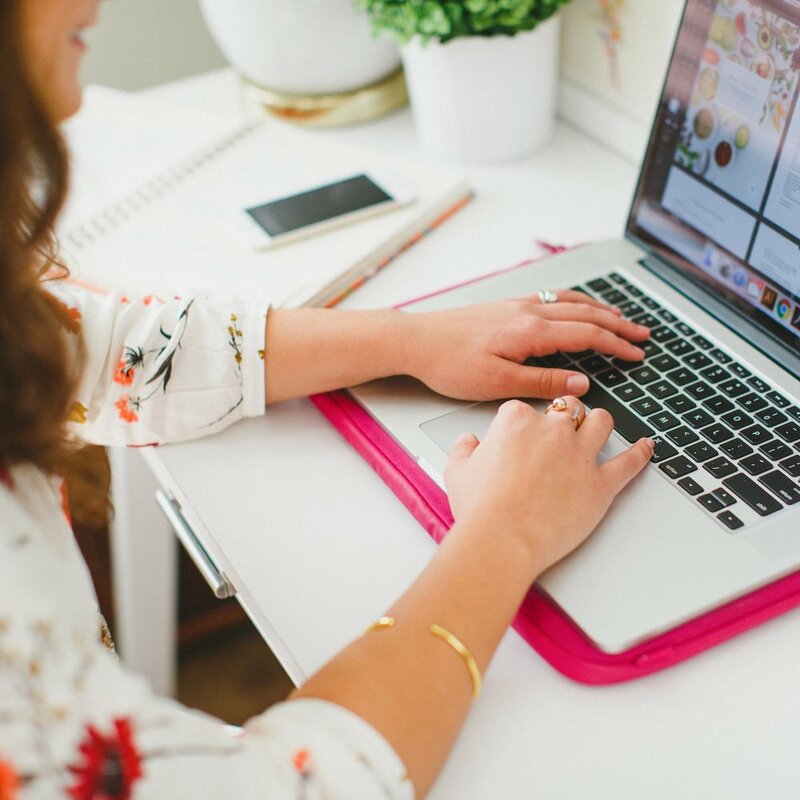 When I first started Elle & Company, I didn't realize the great opportunities that were available to me through blogging for my business. I saw my blog as an outlet and a way for others to get to know me on a personal level, and I integrated recent design projects in with funny stories and recipes. I didn't see anything wrong with that approach because I hadn't seen others in my industry approach it differently. It wasn't until this past summer that I began to recognize how much potential my blog had for growing my business. 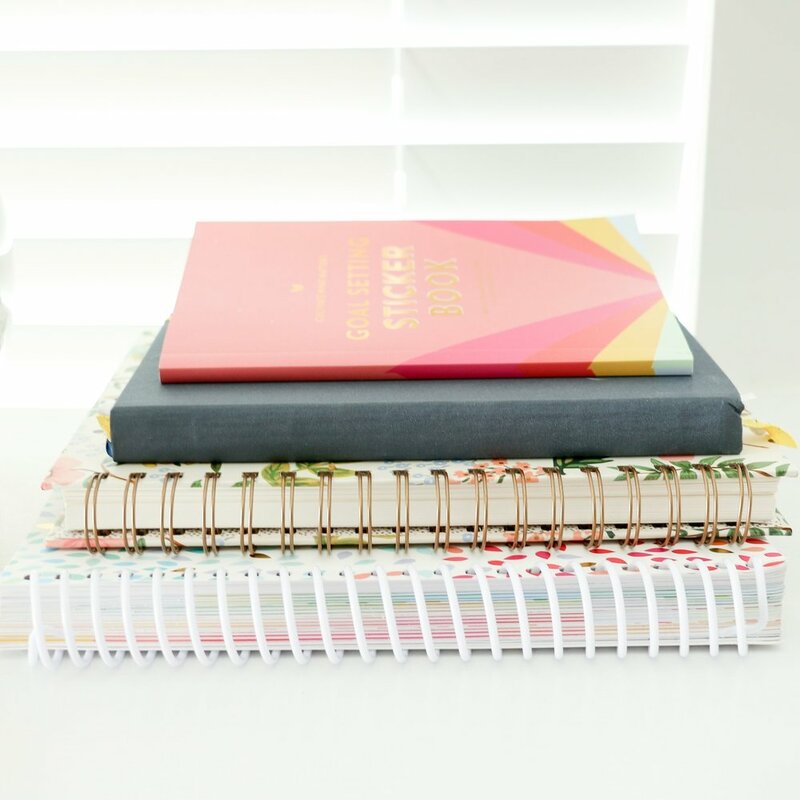 I slowly began to transition my blog from a catch-all to a blogging, business, and design resource, and I attribute my business growth to that change in perspective. Today, in an effort to help you transform your business through blogging, I'm sharing the steps I took to make that transition. In order for blogging to benefit your business and be an effective marketing tool, you need to be writing for your ideal customer. You have an incredible opportunity to share content on your blog that attracts the people you're trying to sell and market to, and content marketing is free. If you're continually posting valuable information for your ideal customer, they will come back to your site day after day. And the more they step into your 'online shop' and get to know you through your blog, the more likely that they will buy from you and book your services down the road. Once this idea of aligning my ideal client and my ideal reader clicked for me, my blog and business began to grow exponentially. Not only do I love serving others in this industry and helping them through valuable content, but writing about blogging, design, and business allows me to attract bloggers and creative entrepreneurs who might be interested in my brand and website design services down the road. When you're working in your field day after day, you tend to get immune to how things operate. For example, I forget that Adobe Illustrator isn't second nature to everyone until I have a friend looking over my shoulder with a confused look on their face at the pen tool and other keyboard shortcuts. You know much more about your field than you even realize, and people are much more interested in what you do than you would imagine. In order to attract clients and build trust with them, share your expertise. Talk about the tools of your trade, how you operate your business, what a typical "day in the life" looks like, why you perform certain tasks or follow certain systems, etc. Not only is it fascinating to an outsider, but it validates your credentials and positions you as an expert. I was deceived into thinking that 'personal posts' were the only way for readers and potential clients to get to know me on a more personal level. But wouldn't you know that I've received more comments about readers feeling like they know me personally after I removed all of those personal posts and focused on quality content? I've said this before in the kindest way possible, but readers are selfish; they want to know what's in it for them. When you make your blog all about you, especially if you're trying to sell a product or service, it's a turn off for readers. You have to give them a reason to care. So instead, shift your focus onto your readers and think of ways to benefit them and provide them with something educational, informative, or entertaining. Content marketing does not mean pitching and selling to your audience on a regular basis. While selling products and booking services is a large component to growing your business and lies at the heart of content marketing, readers have to trust you before they will buy from you. You should be posting quality content no less than 90% of the time and pitching a product or service no more than 10% of the time. For example, if you post on a daily basis you usually end up with somewhere around 20 posts a month. If you follow the 90/10 rule, this means that no more than 2 of those posts should be geared toward selling and pitching. Not only does this keep you from coming across spammy in the eyes of your audience, but it makes your promotional posts stand out more and gain even more attention. Says the graphic designer, I know. But in order for your posts to look like a legitimate part of your business, it's important to come up with a consistent style for not only your blog images, but for your tone, grammar, and verbiage. Branding makes your blog appear more professional and streamlined, it helps your business become familiar to your audience, and it fosters reader loyalty. With Elle & Company, I strive for my tone to be conversational, informative, relatable, and trustworthy across all platforms (blog, social media, etc). I also have a branded template for my blog images as well as the layout of my posts. Inconsistency in post times and content, especially when you're blogging for business, sends your audience a message that you don't take your blog seriously. And if you don't take your blog seriously, others won't either. If you understand the great benefits that blogging has for your business, it's important to make blogging a part of your regular business routine. Set aside an hour or two each day to prepare a post or block out a few hours each week to prepare several at once. If you can't maintain daily posts, set a less frequent schedule but hold to it on a consistent basis, whether it's once a week on Mondays or three times a week on Mondays, Wednesdays, and Fridays. By following these tips, I can confidently predict that your blog and business will have great success. All it takes is a change of perspective, some proper planning, and purposeful, high quality content. Are you trying to make the transition to blogging for business? What steps are you taking to attract your ideal customers?